This tutorial is outdated as it targets Now 1. It doesn't yet work with Now 2. Once you're done implementing your GraphQL server and have tested it enough locally to make it available to the general public, you need to deploy it to the web. 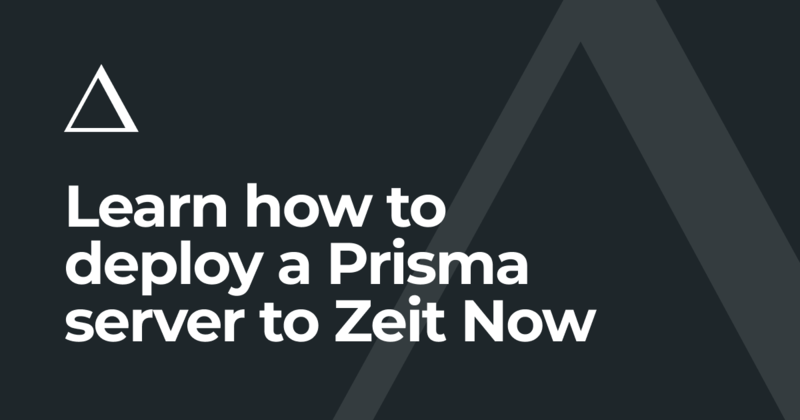 In this tutorial, you're going to learn how you can use Now - an amazing one-click deployment tool from the Zeit team - to deploy your GraphQL server. 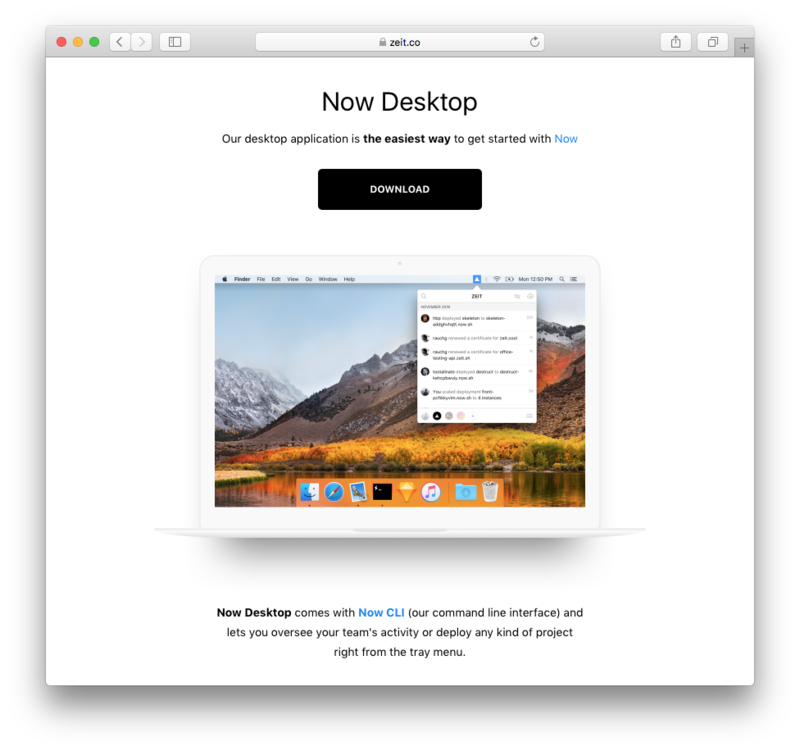 The first thing you need to do is download the Now Desktop app and login. Open https://zeit.co/download in your browser and hit the DOWNLOAD-button. Now Desktop includes the now CLI. The now command uploads your source files and invokes the start script defined in your package.json to start the remote server. If this is the first time you're using now, it will ask you to authenticate with their service. That's it, your GraphQL server is now deployed and available under the URL printed by the CLI 🎉 The URL looks similar to https://hello-basic-__ID__.now.sh (where __ID__ is a random ID for your service generated by now). Like before, when prompted where to deploy the service, choose the Demo server. The service is now deployed to a demo server. This time, your service requires certain environment variables to be set. If you just ran now like in the previous section, the deployment would not succeed - or rather the Playground that would be deployed wouldn't work correctly because it doesn't know against which Prisma service it should be running. Because this Steprmation is now provided in terms of environment variables. That's what you can use the --dotenv option of the now command for! It takes as an argument a .env file where environment variables are specified. .env files are a convention / best practice for specifying environment variables. Many tools (such as Docker or other deployment tooling) "understand" .env files - and so does now when using the --dotenv flag. You can find some documentation about how to handle environment variables and secrets when using now here.